Splash 30"x60" Beach Towel 24-pk. Your bedroom and bathroom are areas of your home in which you spend quite a bit of time. It's important to have the bedding and bath essentials that help you feel more comfortable when you're at home. 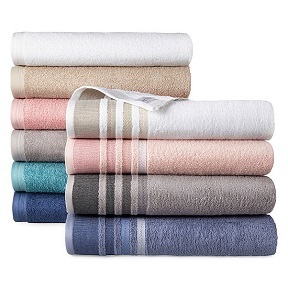 Bath essentials include towels, rugs, shower curtains, and rugs, while bedding essentials often include sheets, quilts, bed skirts, throw pillows, and bedspreads. When shopping for bath essentials, it's hard to beat the selection and pricing available at JCPenney. You can find items from signature collections, extra-plush towels, and soft rugs that complement the look and feel of your bathroom. If luxury is what you're looking for, check out the Royal Velvet line of bath essentials, featuring 100 percent Egyptian cotton loops that make up oversized and luxurious pieces for use in any bathroom. 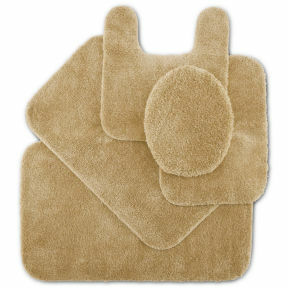 The towels and rugs are fade-resistant, ultra-absorbent, and available in 13 different colors. 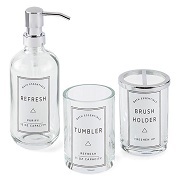 You can also find bath accessories, such as clothes hampers, shower curtains, mirrors, toothbrush holders, stylish toilet brushes, tissue box covers, soap dispensers and dishes, hand towel racks, wastebaskets, and other items within the bath essentials collection at JCPenney.